Bruce Kulick has posted some info about the forthcoming ESP live CD and DVD that are on their way next month. "Finally finished the mixing and mastering of the ESP 'Live in Japan' CD (featuring the lineup of Kulick on guitar, Eric Singer [KISS, ALICE COOPER] on drums, John Corabi [MÖTLEY CRÜE, RATT] on guitar/vocals and Chuck Garric [ALICE COOPER, DIO] on bass). 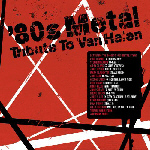 Sounds great and the 11 tracks chosen rock for sure. It will be for sale starting in October and my page will have a link for ordering. The DVD is on its way to be manufactured as well. I am very excited about finally sharing the excitement of ESP with everyone, not just the countries we seem to visit. A four-minute promotional teaser for the upcoming ESP (ERIC SINGER PROJECT) DVD, "Live at the Marquee", has been posted online at YouTube.com. "Live at the Marquee" was recorded in Australia in April 2006. 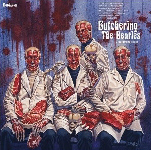 Some more info has turned up regarding "Butchering The Beatles: A Headbanging Tribute", the Beatles tribute album featuring Eric Singer on "Back In The USSR" and Bruce Kulick on "Drive My Car". KISS fan site KISS Underground recently conducted an interview with KISS guitarist/ vocalist Paul Stanley. Paul Stanley's backing band for the LIVE TO WIN Tour will be the House Band from the CBS TV Show, ROCK STAR. The band appeared on the first season of the show - ROCK STAR: INXS, as well as this year's ROCK STAR: Supernova. Comprised of Paul Mirkovich (Keyboards), Jim McGorman (Guitar), Rafael Moreira (Lead Guitar), Nate Morton (Drums) and Sasha Krivstov (Bass), the House Band is an eclectic, skilled group of professionals who know rock and roll. Earlier today Paul enthusiastically spoke about bringing the House Band on the road with him. "From the first time I saw them perform, I knew they were the band that could help deliver the songs for my solo tour with lethal force. Trust me; this is going to be awesome!” Paul told KOL. 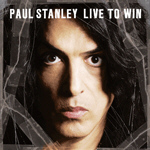 Paul Stanley's LIVE TO WIN Tour kicks off October 21st in Atlanta. The current tour dates are listed below. Additional shows may be added. I’m very proud to announce that kid wonder Angelo Coppola will join the teens of Christine Sixteen on drums for two songs on there upcoming CD. Like other musical geniuses before him, the talent of Angelo Coppola was obvious at an early age. He recently appeared, at age 9, on the TV show AMERICA’S MOST TALENTED KIDS, where he got an ovation after playing ROCK AND ROLL ALL NITE on drums. Since then, he recorded and released his first CD, entitled POUND FOR POUND, which is available at his website. You can also go to profile.myspace.com to view his amazing talent in some videos, including a medley of KISS songs. All the teenagers of CHRISTINE SIXTEEN are very excited and proud to welcome Angelo in the CHRISTINE SIXTEEN tribute family. With Angelo now on board, we can really say that KISS, and our project, reaches more and more generations.